A member of our quilting group, Susan is retired and living the farm life near North Henderson. She and her husband have three children and seven grandchildren, and their two sons farm with them. Susan joined Zion a few years ago, because it was the only congregation to make her feel welcome and loved. She enjoys reading, sewing and volunteering for the food pantry and Meals on Wheels. She is an advocate for people to attend a church where they can learn about and lead a life with the Lord. 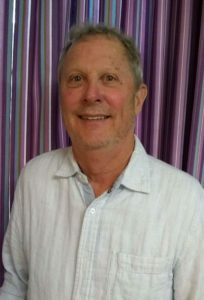 A longtime resident of the area, Richard has been a farmer for 24 years. He farms with his two brothers-in-law and raises cattle. He and his wife, Linda, were married at Zion Lutheran Church 44 years ago. 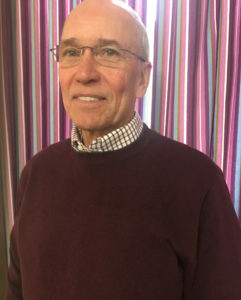 Richard has been a member of the church for 45 years. They love to spend time with their two children and seven grandchildren. Richard also enjoys fishing and hunting. When it comes to church, Richard likes having a place to worship and feel the true love of God every Sunday. A lifelong resident of North Henderson, Mary is retired from Carl Sandburg College where she worked as a secretary for 35 years. 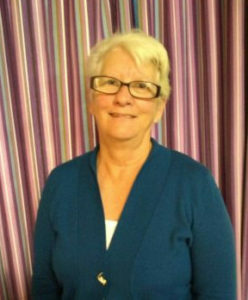 After starting a family, Mary became a member of Zion Lutheran Church in 1986. Mary spends her free time with gardening, crafts and volunteering at the church. She also enjoys babysitting her two granddaughters when needed. 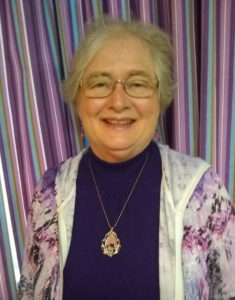 She would like others to join Zion Lutheran Church so they, too, can experience the joy of belonging in this church family and knowing Christ personally. After growing up in North Henderson, Craig spent four years in the Air Force and returned to the family business, Olson Grain, Inc., which he served for 35 years. Now retired, he can enjoy more photography and travel. Craig lives in East Galesburg with his wife, Karen. Craig and their two sons were confirmed at Zion Lutheran Church. Craig and Karen continue to attend church here, because they enjoy the small town, family atmosphere. Originally from Clay Center, Kansas, Jo Anne was raised in Iowa City. She received her Masters’ in Developmental Reading and taught for many years until she retired in 2005. She and her husband, Roger, have a daughter, son and five grandsons. Jo Anne is very involved in activities from choirs and bands to clubs and other boards and associations. She has been an active member of the church since 1974, because she appreciates the moral support provided to the youth and adults to become good citizens. In addition to being a trustee, she is also treasurer of the LCW and the Southwest Conference of the Women of the Evangelical Lutheran Church Association. 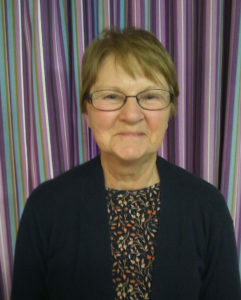 Jo Anne believes in the fellowship, family feel and charitable activities of the church, which are important to the social wellbeing of the community.